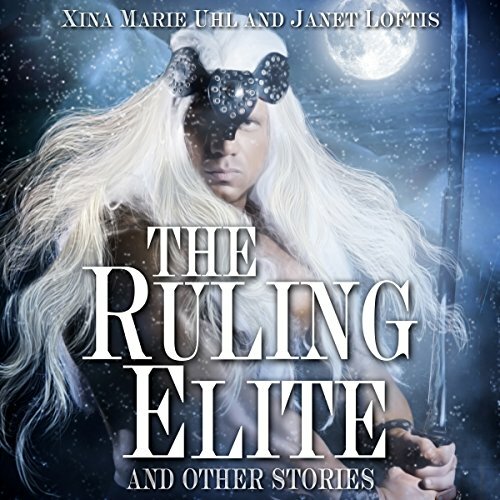 This is a collection of short fantasy from Xina Marie Uhl and Janet Loftis. This is a beautifully written, evocative collection of fantasy stories. The writing is so lyrical that these tales read like a cross between prose and poetry. The authors chose their themes from many sources, including, in the case of Xina Marie Uhl, classical mythology. Anyone familiar with the myth of Demeter will delight in what this author does to expand and slightly rearrange the that myth, although she remains absolutely faithful to its essence. The rest of the stories are exquisite, if haunting and strange to those used to more modern themes and presentation. I must say, however, that the narration is an excellent example of why authors seldom make good narrators. Audio book narration is more than just reading aloud to children, friends, or even small groups. It requires certain skills that were not present in this performance. Although the narration was adequate, it was barely so, and I would have enjoyed this lovely book more had it been presented by a true professional in the field.